Last Saturday (yes I know I'm behind, deal with it, I am!) 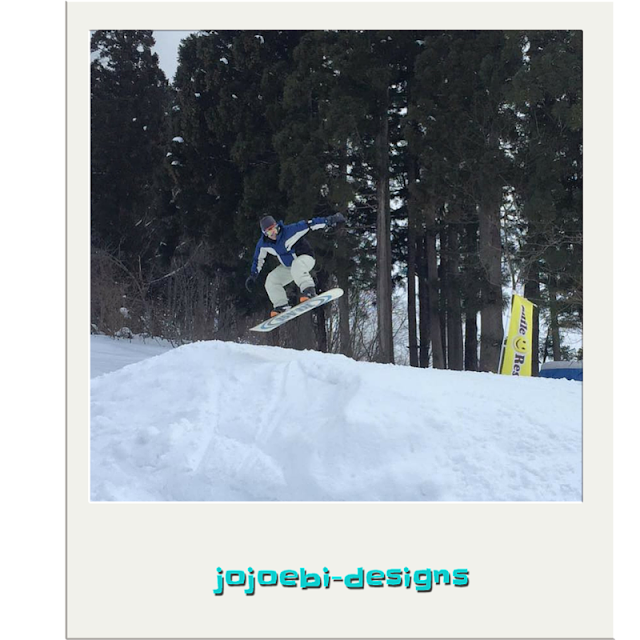 So, Last Saturday we went off to Yuzawa Nakazato for skiing/snowboarding for the day. The weather was clear and the snow was good, we did quite a few runs then had a break for lunch. And Yasutoki too. Until he wasn't. I usually head down first then wait by the jumps to take photos, this run I was waiting for ages, thinking that they had got stuck behind a group of beginners. Eventually Ebi-kun comes down, clears the jump. I wait a bit long to see Yasutoki sliding down, holding onto his arm. He managed to make it to the bottom, but he was white as a sheet and in agony. We went to the rest area and I had a look at the arm in questions, it wasn't looking good, no broken skin but it was turning a funny colour and he was obviously in a lot of pain. 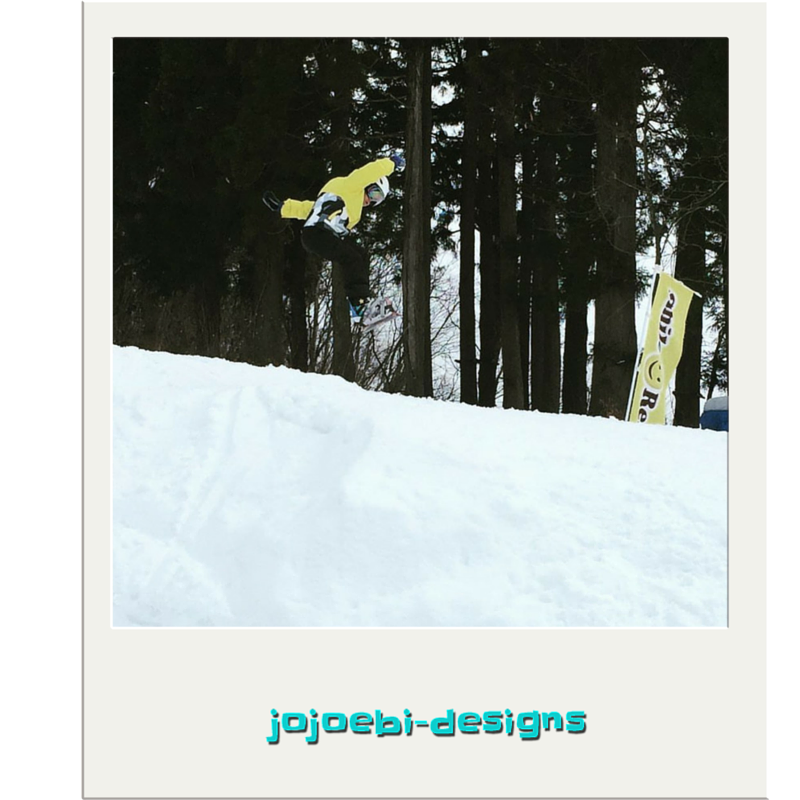 Yasutoki went back on that with his snowboard tucked in the back. We said we would meet him there, it was then a matter of how Ebi-kun and I would get back, we decided it would be quicked to go up the lift and ski back down the other side that it would to yomp over by foot. We made it to the first aid cabin, they gave us the number for the local taxi and hospital. Ebi-kun and I ran in and handed out rented bits back and got changed into our own boots, packed everything up and then met the taxi to the hospital, well it was really a clinic, and full of people who had had accidents on the slopes! So yes, he had broken his arm and the Dr had to pull it out to get it straight again and put on a temporary cast. Luckily we weren't too far from the station and made it back just in time to catch the train that we had booked tickets on! Ahhh but there lay another problem! Luckily we live in Japan and they have this amazing service (usually people who have had too much to drink use it). It is like a taxi service but they bring their own car and an extra driver, the driver takes your care and the service car follows. So we got home and the car and I had dibber in the pot ready for when we got in. Not quite the adventure we set out for. He had to go back to our local clinic the next day to get a proper cast set, looks like he will be in it for a minimum of 4 weeks. Not fun. And yes, it is his right arm, the one he writes with, should make working interesting!